Fashion Showcase - LFW Lungta de Fancy - Creative video production company based in London. We produce fashion, corporate, commercials, promo films for businesses.Creative video production company based in London. We produce fashion, corporate, commercials, promo films for businesses. 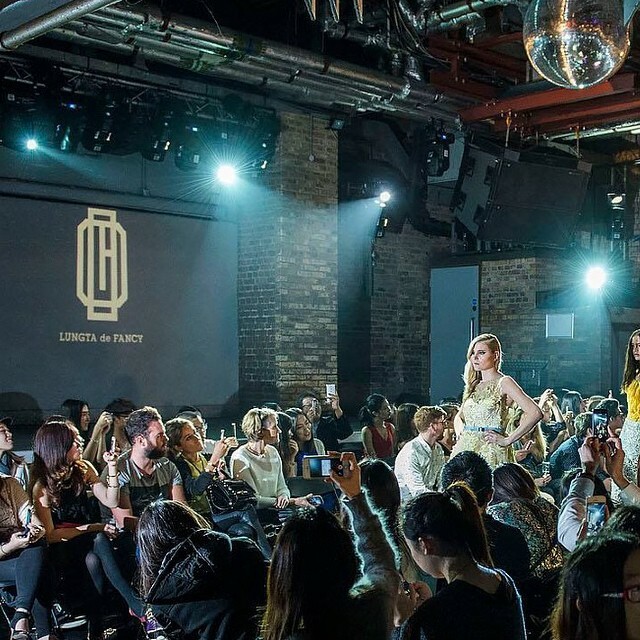 As we have mentioned many times, fashion is one of our favorite themes and we are proud to announce we were attending the famous London Fashion Week to film a fashion show of a new London Designer Brand – Lungta de Fancy. Our fashion video was uploaded on the newly designed page of Lungta de Fancy, but for your convenience we are also publishing it here so you can see it in all its glory. 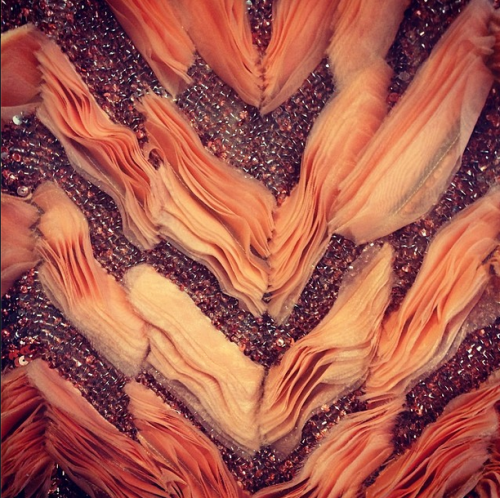 We attended and filmed the show at famous London club – Fabric. The interior design of that place was well suited for the occasion: it has a very industrial vibe and as such has set a very interesting mood. The lead designer of the brand – Mai – wished to showcase her line of products in an interior typically associated with London and the idea worked – the beautiful, high-fashion clothing (especially the exquisite dresses) stood out in a raw, industrial environment and the contrast the whole concept created pleased the audience. Of course, such dark, moody conditions demand special treatment before it is suitable for filmmakers and we think we did a splendid job with that promo. We had a complicated set up of 3 cameras on site to get the full showcase. The first problem, as we have mentioned, was the unique design of the place – the ceiling was pretty low, while the models and they were wearing high heels, so we had to install the lighting in a specific way – it had to be bright enough to make the catwalk and the clothes stand out, yet it shouldn’t interfere with the movement of the models and it additionally shouldn’t blind the audience. 3 cameras were needed to get every possible angle of the whole line of clothes – in this business the look of your product is the most crucial factor and you need to show every detail of your brand to distinguish yourself from the crowd. We had to set up our equipment in the corridor that models passed through and put a special zoom lens on the first camera, so we could work in a cramped space without constant changing of camera placement. The second camera was set up in a big room that was a staging area for the catwalk. The place was brighter, so we had to change the second set-up accordingly. The third equipment was installed on the exit from the staging area, so we could shot the whole event from the side and capture the enormous crowd that gathered around the catwalk. We must say it was a great fun to work in such conditions, as the whole showcase gave us a lot of ideas how to properly set up our cameras, how to light the place without hindering the flow of the whole show and how to capture the uniqueness of Lungta de Fancy collection.